Gretchen Lawrence received a teaching degree in Psychology and Biology from Central Michigan University and a Masters degree in Counseling Psychology from Western Michigan University. She holds a Michigan Professional Counselor license and a Holistic Health Certification. Gretchen has been working in the mental health field since 2001. She works with adults and young children. Her specialties are the treatment of stress, anxiety, depression, emotional and physical trauma, and emotional components of physical illness. Her philosophy is to offer caring, holistic approach to counseling which takes into consideration all aspects of her clients, emotionally, physically, spiritually and intellectually. 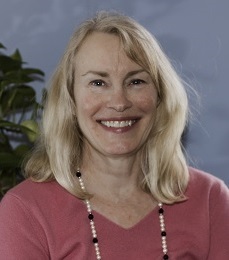 Gretchen utilizes techniques such as guided imagery, systematic muscle relaxation, visualization, and deep breathing techniques, as well as traditional therapeutic methods of psychodynamic theory, cognitive behavioral therapy, and brief solution therapy. She strives to provide a stress free, non judgmental atmosphere where clients can release emotional pain and gain a greater sense of peace and self awareness.